Today´s recipe for the Tuesdays with Dorie group is Whole Wheat Bread. It is nice to be baking bread. And it is nice to be baking bread with honey from a beekeeper that you know and sugar beet molasses (instead of malt extract) from a local company. Craig Kominiak is the contributing baker for this recipe and it is a straightforward recipe, not difficult at all to follow the few steps required to bake this bread. The ingredients are but a few, namely yeast, honey, bread flour, whole wheat flour, a bit of oil (I used sunflower oil) malt extract (which can be substituted with molasses) and some fine sea salt. 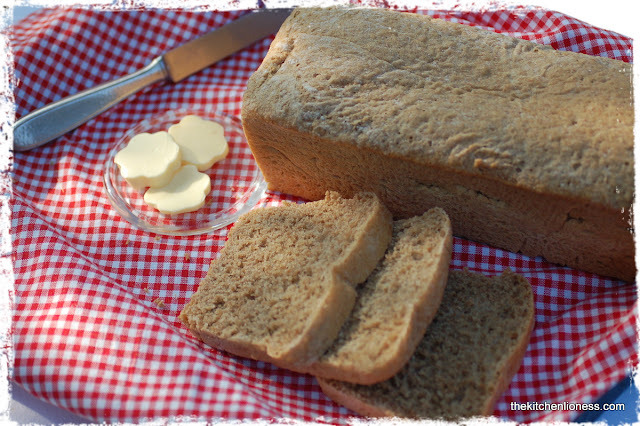 The honey flavor sweetens the baked loaves so that they are not only healthy to eat, but delicious, too. The bread can be enjoyed fresh or toasted with just some good quality butter and maybe some honey or you can use it for preparing your favorite sandwiches. 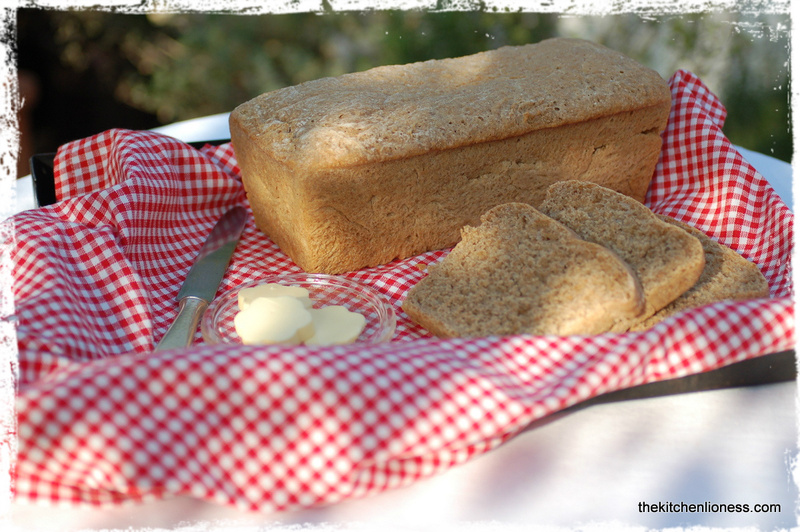 We liked this bread and I certainly appreciated the process of baking these Whole Wheat Loaves. We all loved the wonderful smell emanating from the oven while the two breads were baking. The crust is light and the inside is soft with a slightly sweet taste. Wonderful bread - light, tasty, and easy to make. 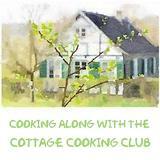 The hostesses for today´s recipe are Teresa of The Family That Bakes Together and Michele of Veggie Num Nums. A great big “Thank You” to both of them! 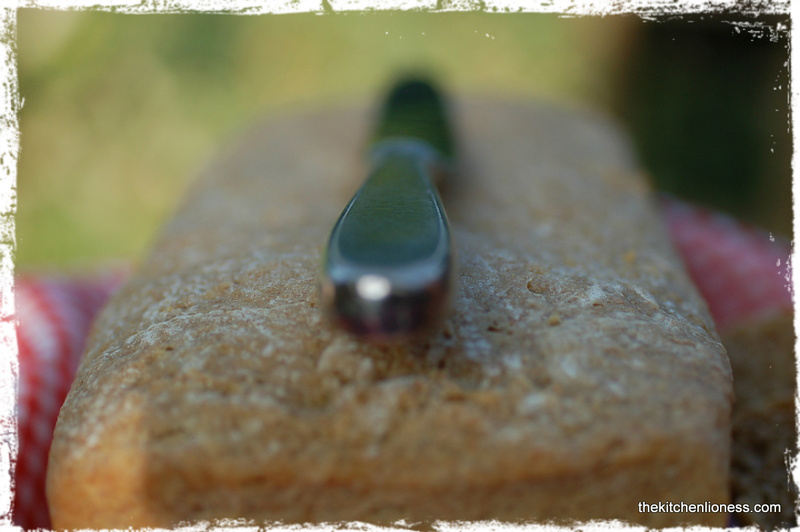 To see how the other Doristas baked wonderful Whole Wheat Loaves today, please click here. Sugar beet molasses from „Grafschafter“ ( http://www.grafschafter.de). Honey from Dieter Modregger, Lindlar, Germany. Cloth from Dille Kamille (http://www.dille-kamille.nl). Baking pans from Patisse (http://www.patisse.nl). Gorgeous photos. The honey looks so rich. I also like your pats of butter. Very pretty. I'm glad you enjoyed this one. Sugar beet molasses sounds yummy. Love your photos! Lovely loaves! I love baking bread and eating it, too! Local honey is the best. Fantastic bread and pics! Of course your flower butter pats are adorable Andrea! It's so nice to be able to use local honey and to know the producers of your ingredients. Your photos (as always) are gorgeous and I love the little cut outs of butter you served. Your locally sourced molasses and honey sound like perect & luxurious baking ingredients. The butter pats add a lovely visual interest. Your local ingredients make this even more homey. I love the photo with the knife on top of the loaf. Sort of abstract. How nice that you got honey from a local beekeeper, I'm still waiting to harvest mine! Whole wheat bread just smells so wonderful as it cooks. And it's delicious. 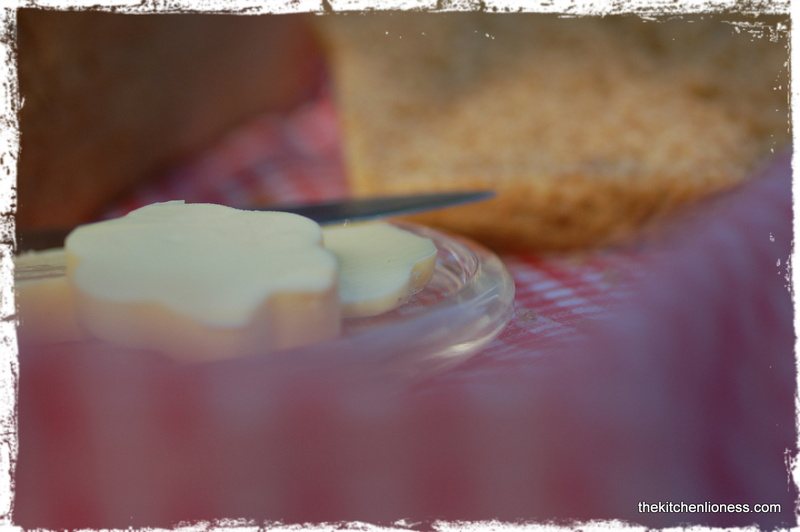 Your bread looks perfect and the honey sinful! I also used local honey from my farming friend Mark. Reading your post inspired me to make this again to have a couple of loaves to give to his family. Thanks! Nami, thank you for your wonderful comment - I used a cookie cutter to get the flower shape for the butter, it is not sold like this in stores - I was just looking for something a bit different. If you cut out veggies Japanese style, that is food art not like my buttery flowers, I am sure! Gorgeous loaves! 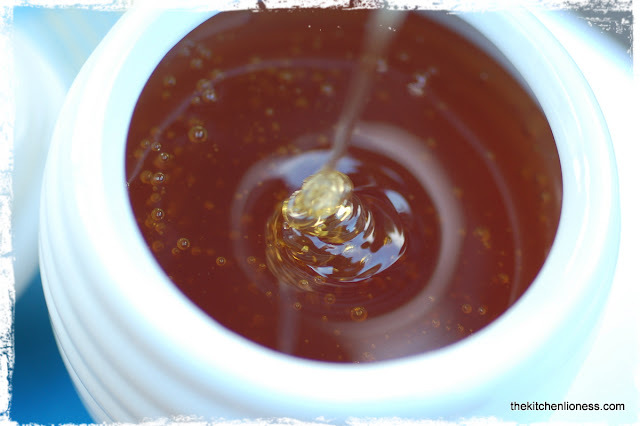 I love the idea of using local honey. Beautifully done, Andrea!! 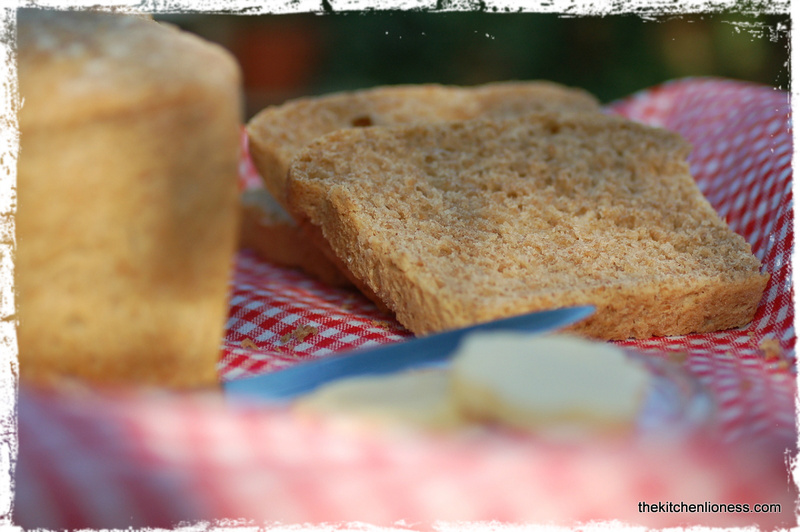 Perfect looking bread and lovely photos! I know I will be making this one again and again! You've got the perfect breakfast on your table. It's so lovely laid out. I have some silicon muffin pans with Hello Kitty on the bottom. I fill them with honey-vanilla butter and when it gets hard, I take them out, turn them and have Hello Kitty on the top: it looks cute! To tell the whole story I've bought them for muffins, but for me, a Hello Kitty on the bottom is quite useless. Who eats upside down domed muffins? I'm still trying to figure out what the "inventor" was thinking. Any idea? Blogging ruined my night-life! I won't tell you at which time I finally reached my bed after writing this post as it could be a cause for divorcing! LOL. 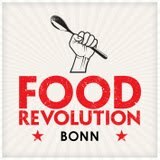 I'd like to buy a Römertopf for cooking, as they say everything cooked in it is yummy, but I've haven't tried so far. The one I have is for round loaves (about 1 kg) and I love it...thinking about buying the rectangular shape, too (which would be better for toast-bread). PS: all your September cake recipes looks great!